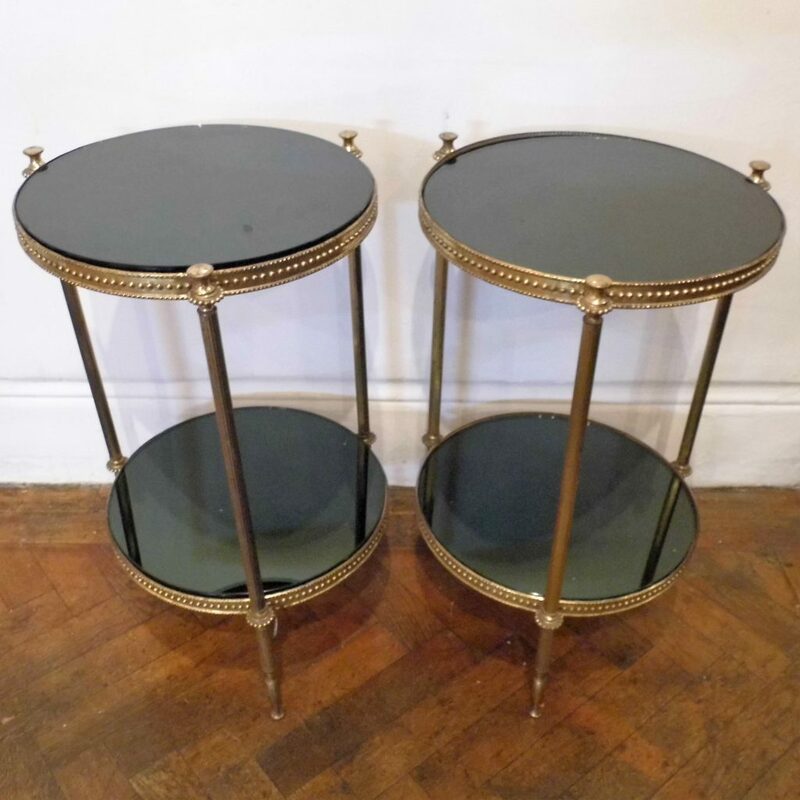 A nice and decorative Pair Of Brass Etageres circa 1950. This pair would like great on either side of a sofa. 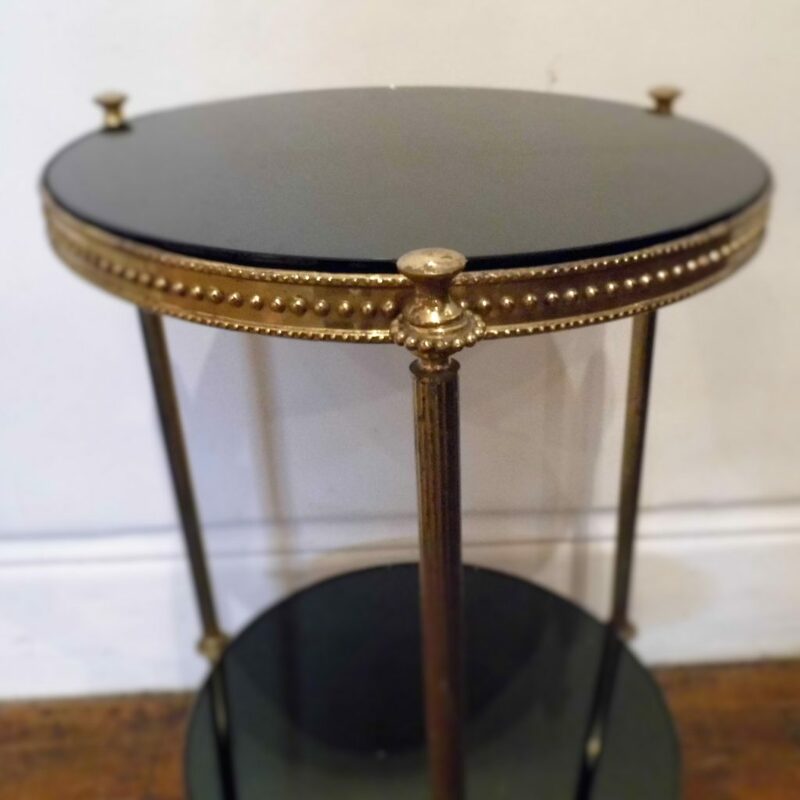 The black glass tops compliment the brass frames and their simple classical styling will match a variety of interiors. 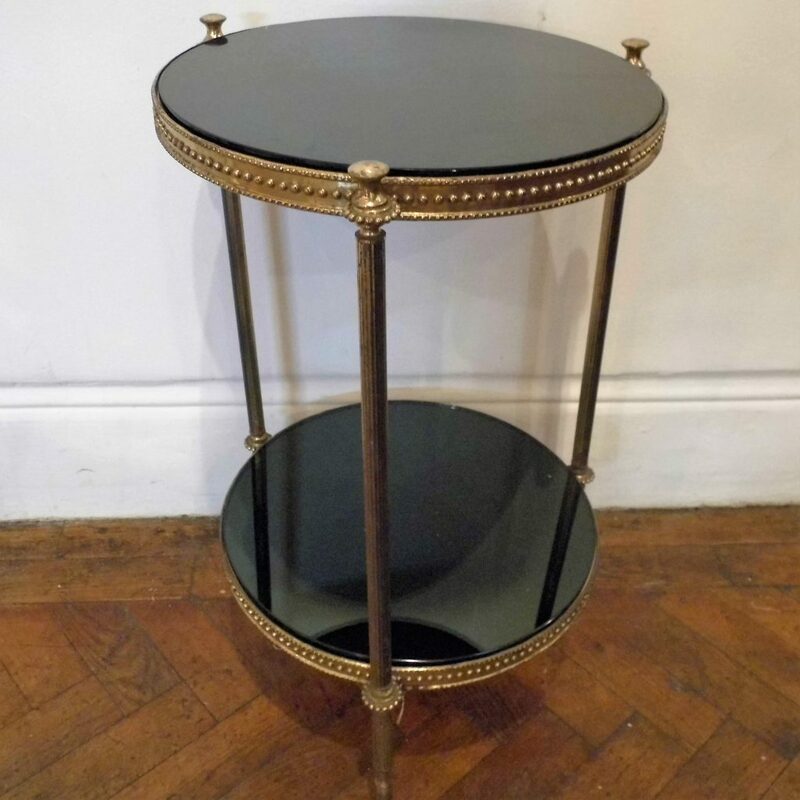 These are in good vintage condition and ready to furnish a lounge. They measure cm high by cm circumference.